I was so busy at work last Wednesday. After finishing work, I was exhausted and had a back pain. "Why don't we take a short break before closing the office? I am too tired to do it." I told my coworker and we ate chocolate together. After I came home, I had a lot of housework. But I couldn't move my body. I thought and took my temperature, it was 37.8 degrees Celsius. It was so hard but I had to prepare dinner, fold laundry and put them into the chests of drawers, wash the bathtub, iron the shirts, and spread our futon. I texted to my husband to ask him to come home early. He returned an email that he will come home as soon as possible, but he didn't come home before we went to bed. "I will go to bed early because I have a fever, so you two also go to bed early!" The next day was my 6-year-old daughter's entrance ceremony at the elementary school. 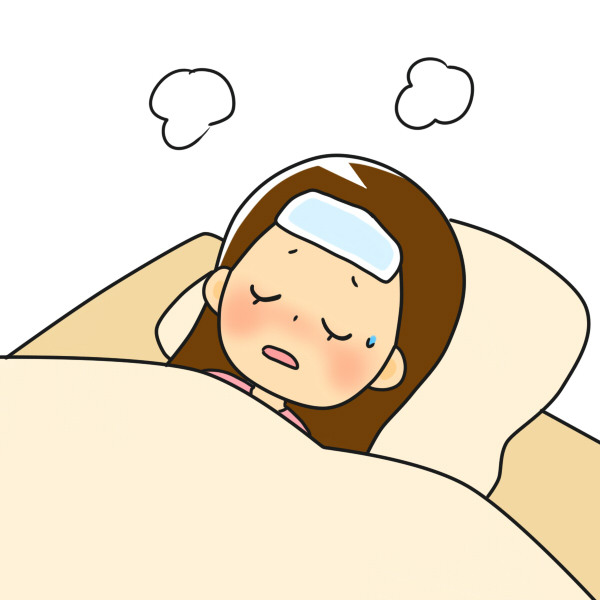 I had a terrible muscle pain and high fever. I went to see a doctor, but he diagnosed that I had a cold. Since I really felt sick, I went to the clinic again next morning asked the doctor to take the flu test, then it was positive. I have already recovered it, but I never want to suffer from it again. Thank you(^o^) for reading this article! Sorry to hear that you caught the flu. It is never easy, glad you were able to recover quickly. It is a shame that you were unable to go to your Daughter's entrance ceremony. I hope someone was able to record it or take photographs for you. Nothing has changed much for me. I am still reading Japanese study books and practicing reading sentences with the Yomikata Z android application. It is much more fun to read Japanese sentences than it is to have to read text books. Still I read them however as they are filled with lots of important grammatical information. Which I still very much need to improve at. I have also started to learn the JLPT vocabulary words. I thought and take my temperature, it was 37.8 degrees Celsius. I thought and and decided to take my temperature, it was 37.8 degrees Celsius. It was so hard but I had to prepare dinner, hold laundry and put them into the chests of drawers, wash the bathtub, iron the shirts, and spread our futon. He returned email that he will come home as soon as possible, but he didn't come home before we went to bed. He returned an email that said he will come home as soon as possible, but he didn't come home before we went to bed. His return email said that he will come home as soon as possible, but he didn't come home before we went to bed. "I will go to bed earlier because I have a fever, so you two also go to bed early!" I went to see a doctor, but he diagnosed I had a cold. I went to see a doctor, but he diagnosed (that I had/me as having) a cold. I was so hard that I went to the clinic again and the flu test was positive. 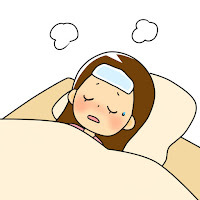 I was so (difficult/hard) to accept that I went to the clinic again and the flu test was positive. I already recovered it, but I never want to be suffered from it again. I have already recovered from it, but I never want to suffer from it again. Hello Terry, thank you for the corrections. Glad you enjoy learning Japanese! I can help you anytime(^^). My tooth finally fell out! © 2014 M Kumi. Watermark theme. Powered by Blogger.